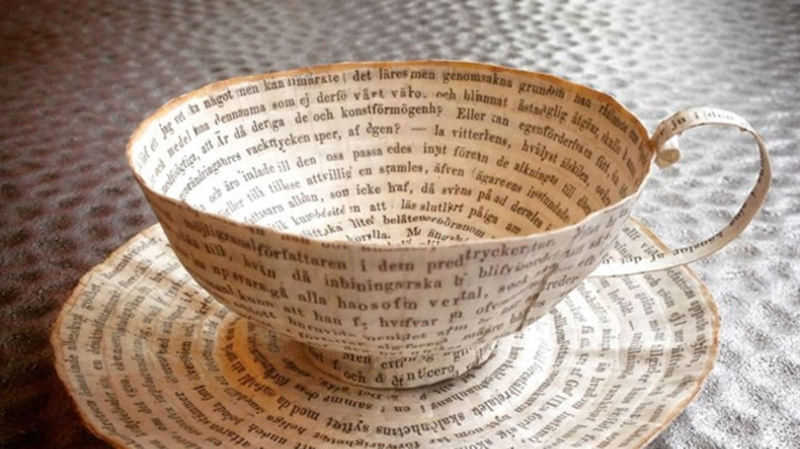 Swedish artist Cecilia Levy has found a new use for old and faded books and comics. 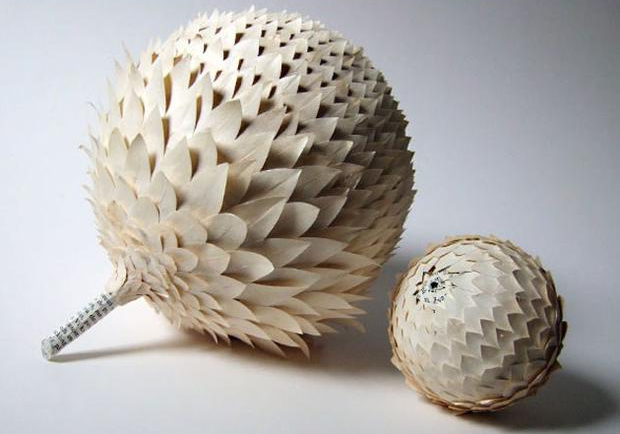 She slices out pages and transforms the browned leaflets into beautiful 3D works of art. Some of her creations include teacups, boots, and eggs. To make them, Levy tears and cuts the paper, then shapes it into form using a papier-mâché technique. "Discoloration, spots and holes after binding, all contribute to the special character of the material," Levy writes on her website. "I feel humbled by the traces of previous owners; dedications, scribbles in the margins, all signs of the passage of time." According to Bored Panda, Levy was previously a bookbinder—literally putting books together instead of tearing them apart. She started to work with old books in 2009, and today, is always on the lookout for well-worn texts that could use a transformation. While book lovers might cringe at the idea of volumes being torn up, there's some comfort in knowing they were used to create such lovely art.